Most of us who have been training for an extended period of time, know that lifting weights is more complex than haphazardly picking them up and putting them back down. There’s a skill component to it. In today’s episode, Brad, Eric, and Andrea discuss many of the factors that make performing complex movements, an art. 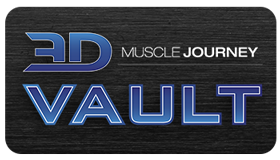 Topics covered include: benefits to having lifting rituals, the efficacy of wearing a belt, mobility, warm-up strategies, the value of personal experience, and more. 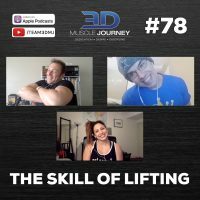 It doesn’t matter if you’re new to lifting or you have been in the iron game for a while, this episode contains valuable information you can begin applying immediately to enhance your performance. Join us this week for episode #78, to learn new tricks and tips for you and your clients.